Here you can get on the fast track for low prices and great service as a member of the Turbo Wholesale Distribution™ dealer network. 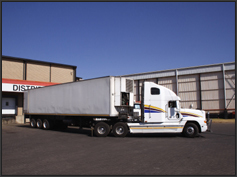 We supply many import shops, and can provide your company with excellent products and courteous service. Turbo Wholesale Distribution™ is looking for dealers that want to stock and resell our parts. If you are interested in getting in on the action, please inquire and let us know. To expedite this, we need some information from you as to the nature and details of your business. Please include all information indicated below as incomplete requests will not be processed. Our wholesale department will contact you via mail, e-mail, or fax within 3-5 business days to provide you with the necessary information to start placing orders. Make sure to read our wholesale frequently asked questions. - Largest selection of rare automotive turbo performance parts. - Help to Increase Sales & Profitability instantly. - Order online, check prices, print receipts and more online on TWD. - Drop Ship directly to customers location. - NO Credit Card Surcharge Fee's. - Volume Based Discount Structure. - Detailed dealer tools to further grow your business. - Backed by the biggest manufacturers in the industry. - All products carry manufacturer warranty. - Best wholesale website in the industry. 2. Fill Out New Dealer Application Below and click submit. 3. Once your application is received our wholesale team will setup your account in our system and approve your web account.